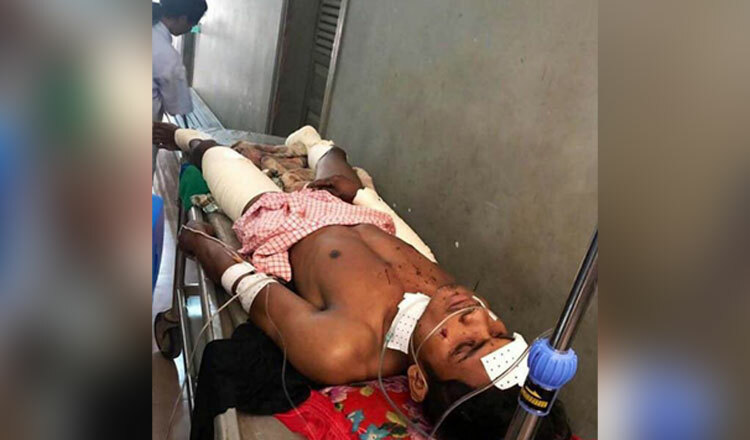 Cambodian Mine Action and Victims Assistance Authority vice president Ly Thuch yesterday revealed that 35 people have either been killed or injured so far this year in mine incidents. During a meeting with ministry officials and mine action partners in Phnom Penh yesterday, Mr Thuch said the figure doubled if compared to the same period last year. Mr Thuch said that CMAA will continue to work with its mine action partners, including provincial authorities in order to reduce the number of incidents across the country. “As the government with its donors are increasing their commitment to achieve a mine-free Cambodia by 2025, additional effort in mine risk education is extremely needed to help reduce casualties,” he said. Last week, the Cambodian Mine Action Centre issued a statement saying that residents must report any findings of mines to the authorities. It also said that local officials must inform residents about areas laden with mines. CMAC last month published a report saying that about 45,500 unexploded ordnance and landmines were unearthed from nearly 90 square kilometres in the Kingdom and ultimately destroyed last year. CMAC director-general Heng Ratana at the time said demining officials achieved a success rate of 18 percent more than planned, but the mine problem persists.